Last summer my family and I decided to move out of the house we’d been living in for thirteen years, and into a new one. Among other things, the old place didn’t have a basement, and the jazz-size drumkit we kept in the family room prevented all five of us from being able to sit and watch TV at the same time. With twenty-one number-one hits to his credit, countless sold-out tours with Jason Aldean, and an endless stream of TV appearances with acts like Bob Seger, Bryan Adams, Keith Urban, Little Big Town, Ludacris, Jennifer Nettles, Chris Cornell, and Joe Perry, Nashville’s game-changing country music drummer Rich Redmond has lived practically every musician’s dream—including his own. When not touring with top modern country acts Sugarland and Frankie Ballard, this Tennessee transplant tracks drums for artists around the globe out of his home setup. The Berklee professor and well-traveled performer has made a career out of adapting ethnic rhythms to the drumset—and offering valuable advice on how to do that accurately and authentically. Mike Clark smiles when quizzed about his drumming on the Headhunters’ 1974 classics “Palm Grease,” “Actual Proof,” “Butterfly,” and “Spank-a-Lee,” some of the most influential jazz-funk tracks of all time. When Clark made his name as an innovator of the Oakland-based linear-funk style popularized by the Headhunters, he flipped the groove his way, making it slide with the graceful cogitations of jazz and the deep soul of the blues. Intention. Precision and power. Innovation. They’re qualities that Marco Buccelli has for several years been exhibiting in his beat making with Xenia Rubinos. The Brooklyn-based rock and soul singer and instrumentalist’s albums Magic Trix and Black Terry Cat feature fiery, tantalizingly nuanced rhythm tracks created by the drummer, who Rubinos has gone out of her way to credit with shaping her sound. There is a silver lining to the devaluation of recorded music that has accompanied the streaming revolution. Legacy acts and record labels that have grown accustomed to the passive income generated from their old master recordings are continuously returning to the vaults to pad out rereleases of classic albums with outtakes, demos, and other material that were usually only of interest to scholars and maniacal fans. 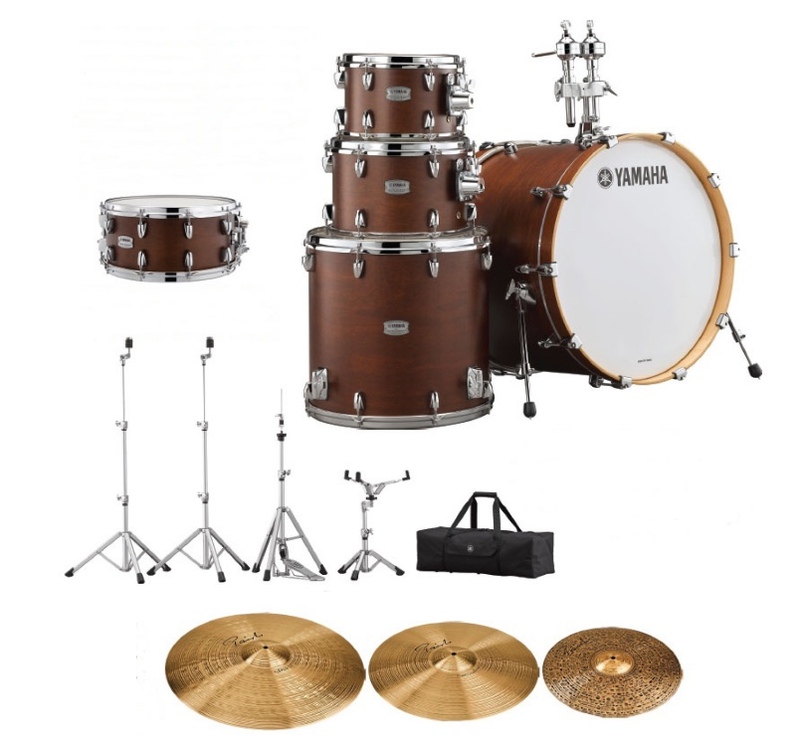 New and Notable - New gear from TAMA, Zildjian, and Vic Firth!